We had the delight of making Samantha's wedding bouquet dream come true. She wanted an understated, simple wedding bouquet which "looked like it had just been picked as I walked through a Summer meadow". 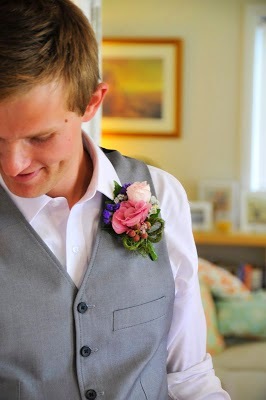 To make Samantha's vision come alive she came to the flower markets at Flemington with us the day before her wedding. We wandered through with her as she picked out anything that caught her eye - a bunch of billy buttons here, a few stems of lavender there. She wanted a vintage feel, something natural and relaxed that blended well - her bridesmaids wore strappy sandals and she an antique lace dress and canvas flats. Each wore floral chrysanthemum earrings. So, with Samantha by her side, our florist shaped the bouquet into one reminiscent of Summer fields and young love. She was careful to not over-structure the arrangement so it had a naturally gathered look. 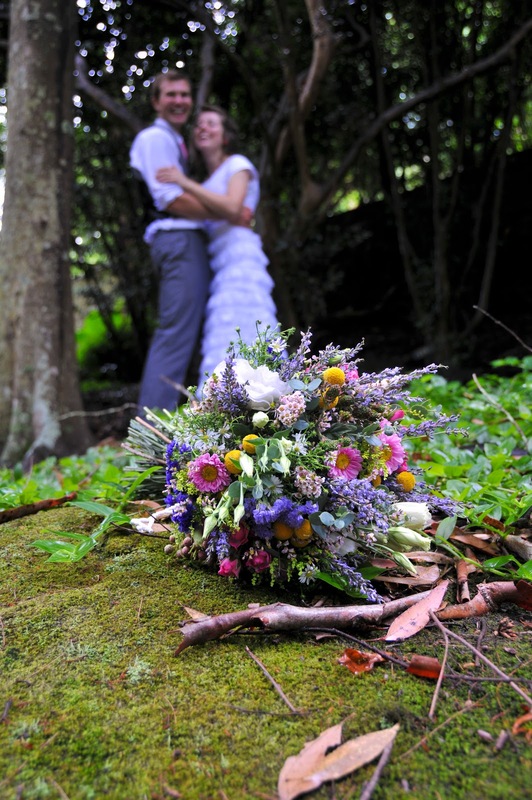 Samantha's wildflower wedding bouquet was made up of lavender, billy buttons, paper daisies, blue gum, thrip, status, spray roses, solidaster flowers, daisy chrysanthemums, berzillia, berries and lizianthus. The stems were tied off with a simple vintage pearl ribbon. It was exactly what Samantha had an envisioned. 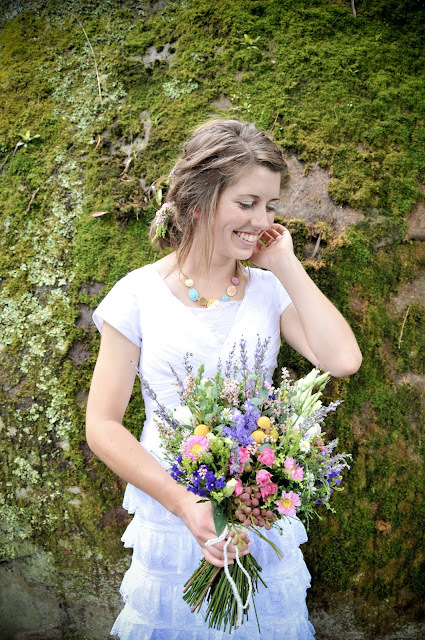 A clutch of field flowers for her wedding day.